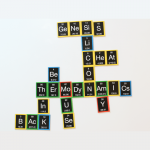 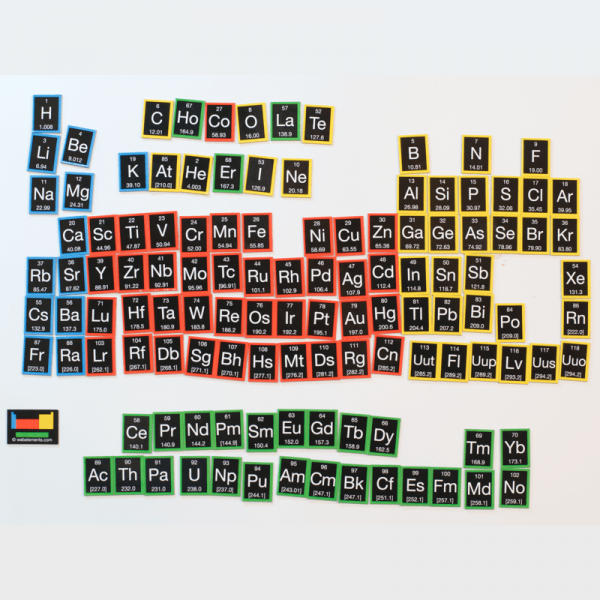 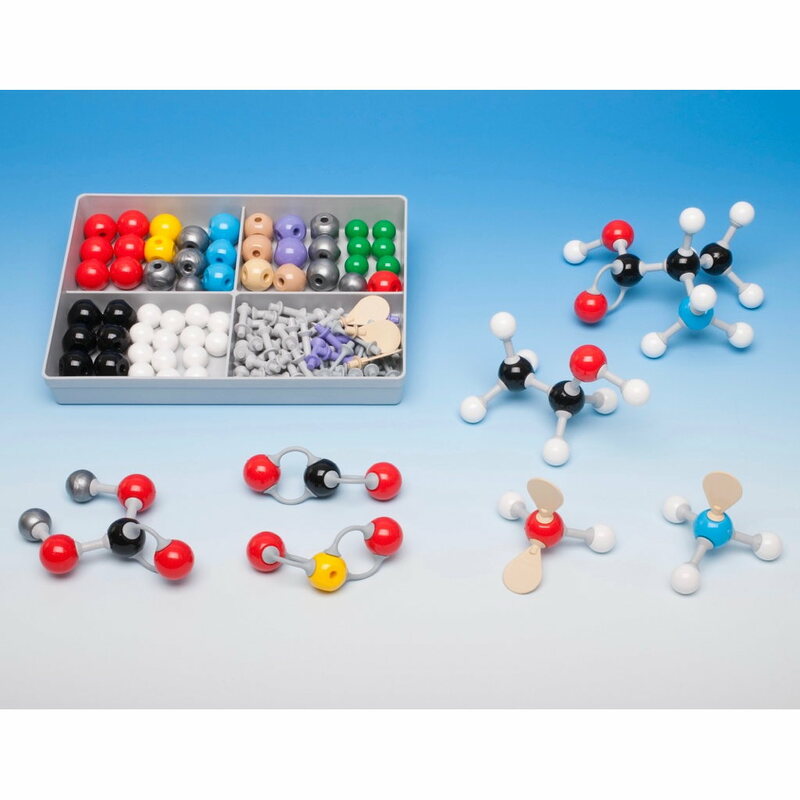 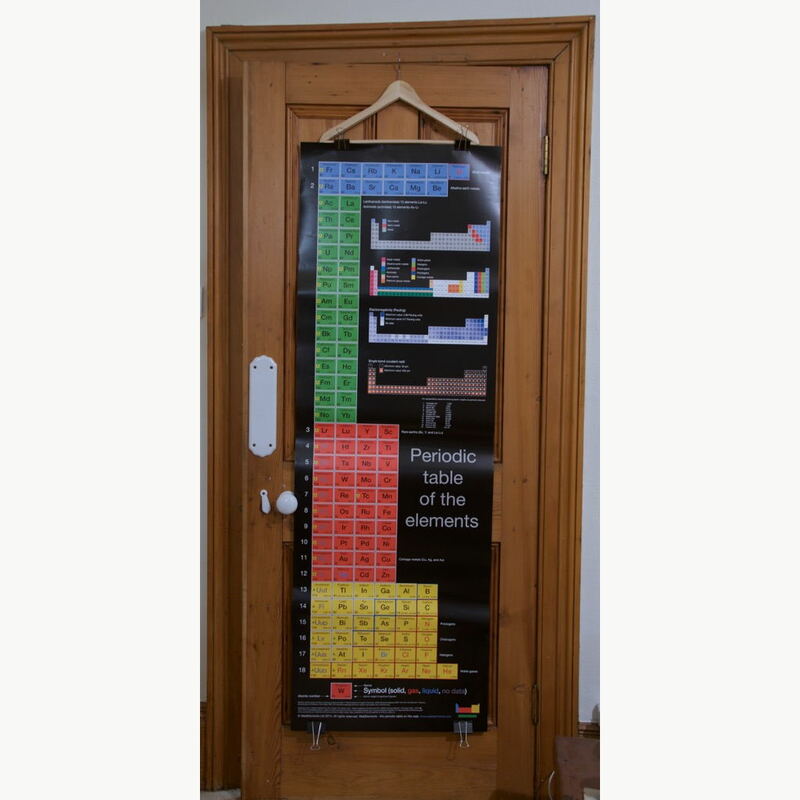 Make words and sentences on your fridge or filing cabinet using this periodic table fridge magnet game. What words, sentences, messages, and names can you spell out on your fridge? 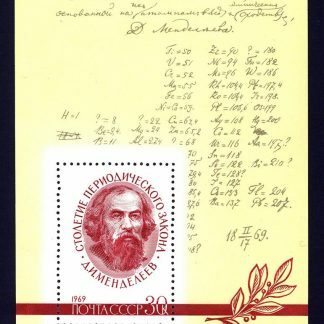 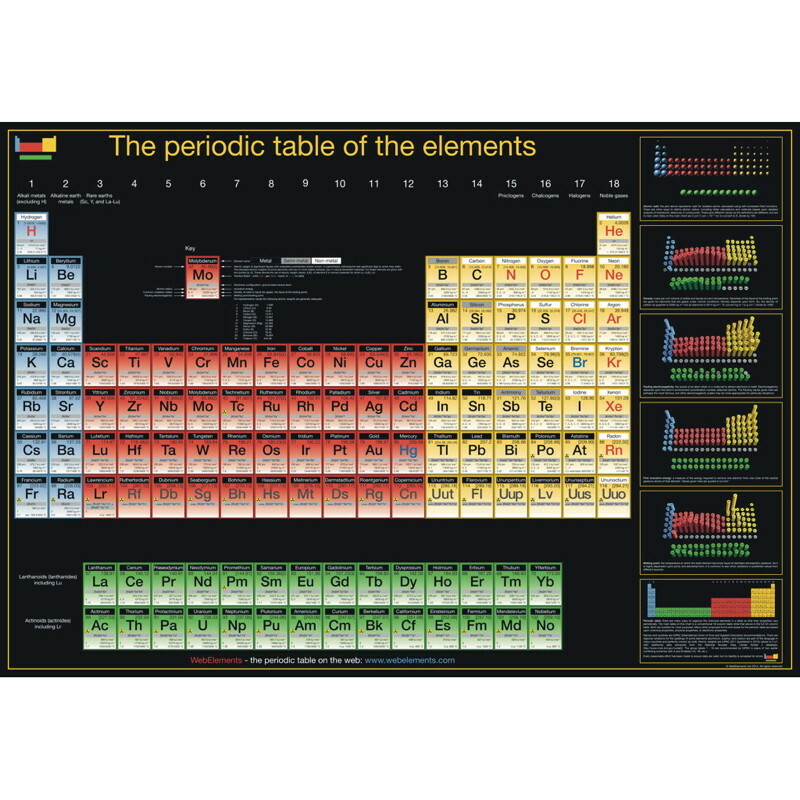 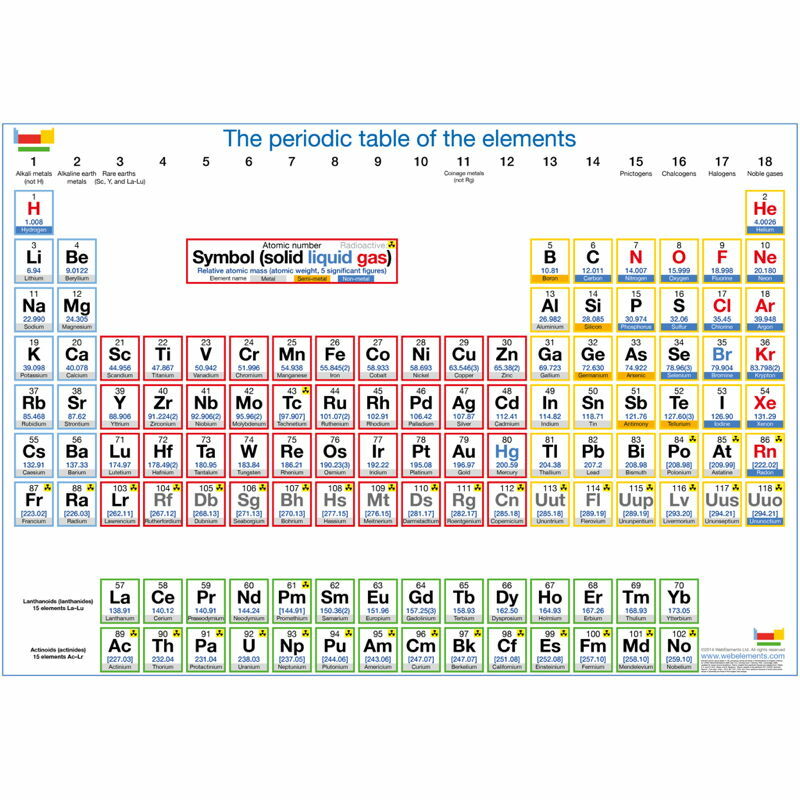 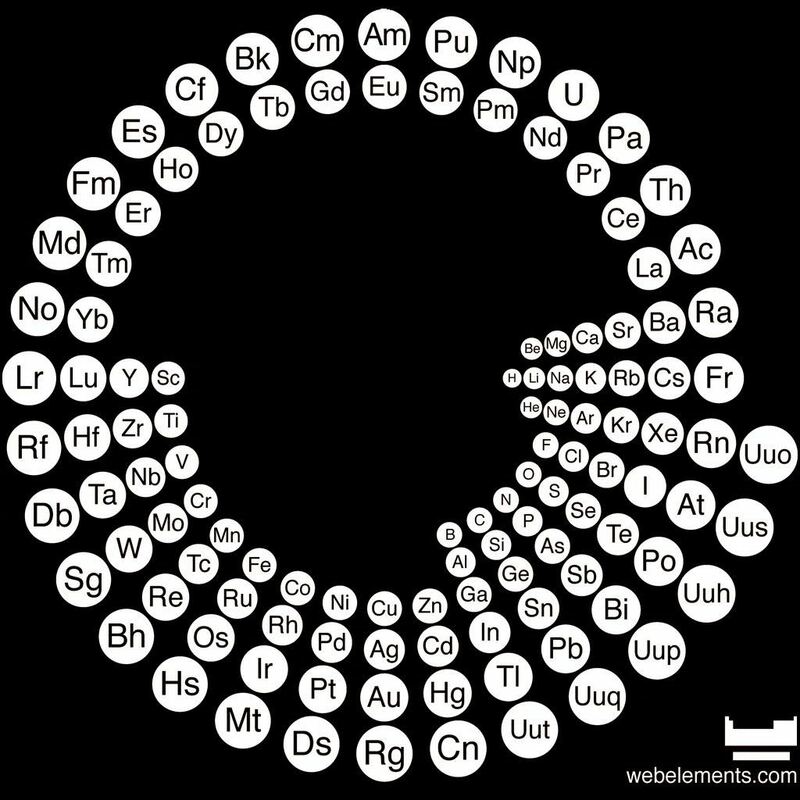 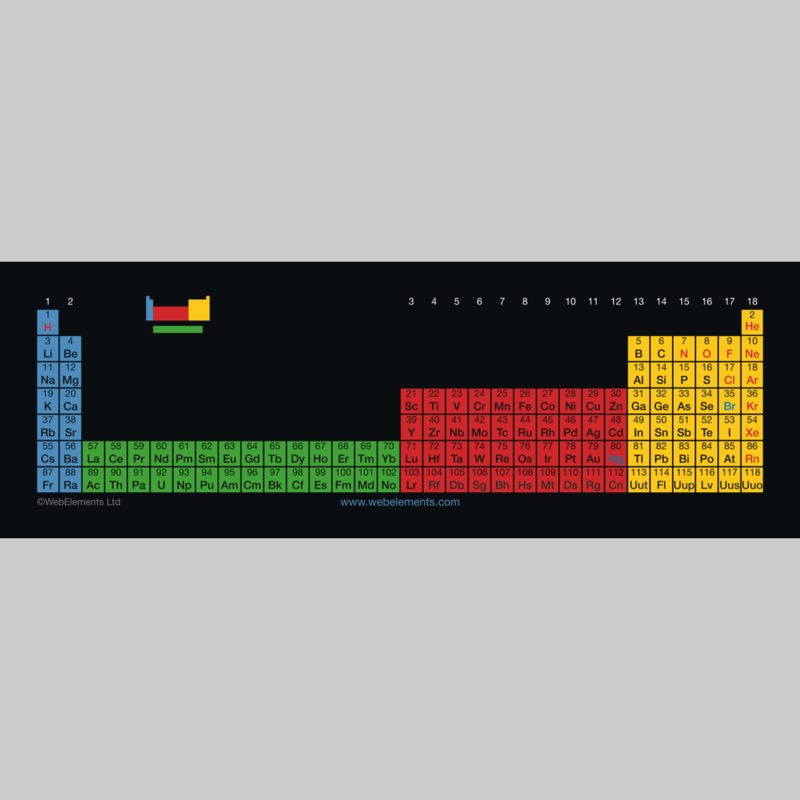 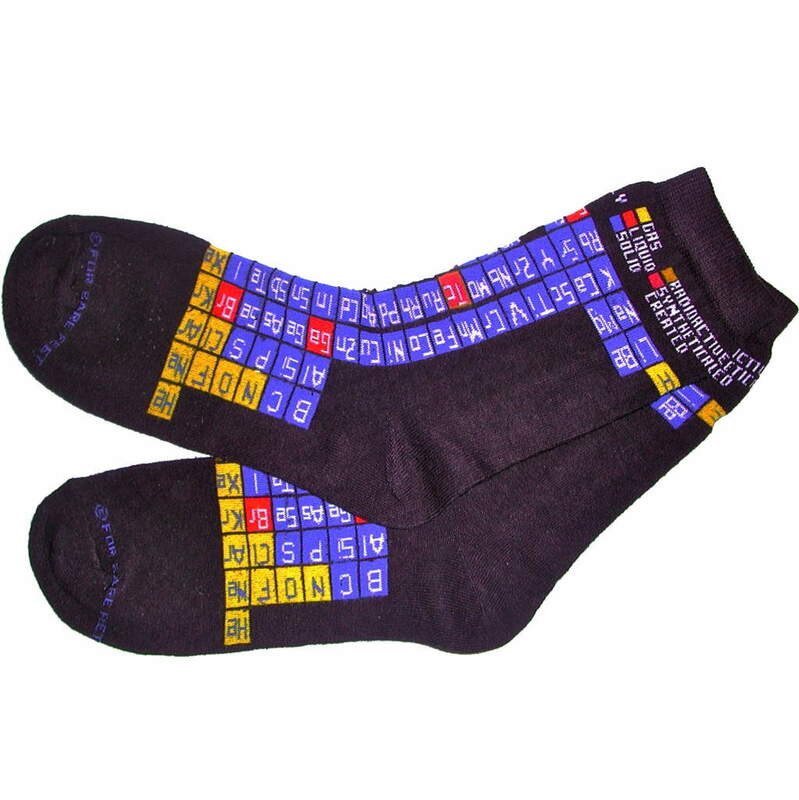 The periodic table itself laid out conventionally is 34 cm wide (13 ⅜ inches). 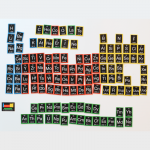 Each element tile is about 24 x 19 mm. 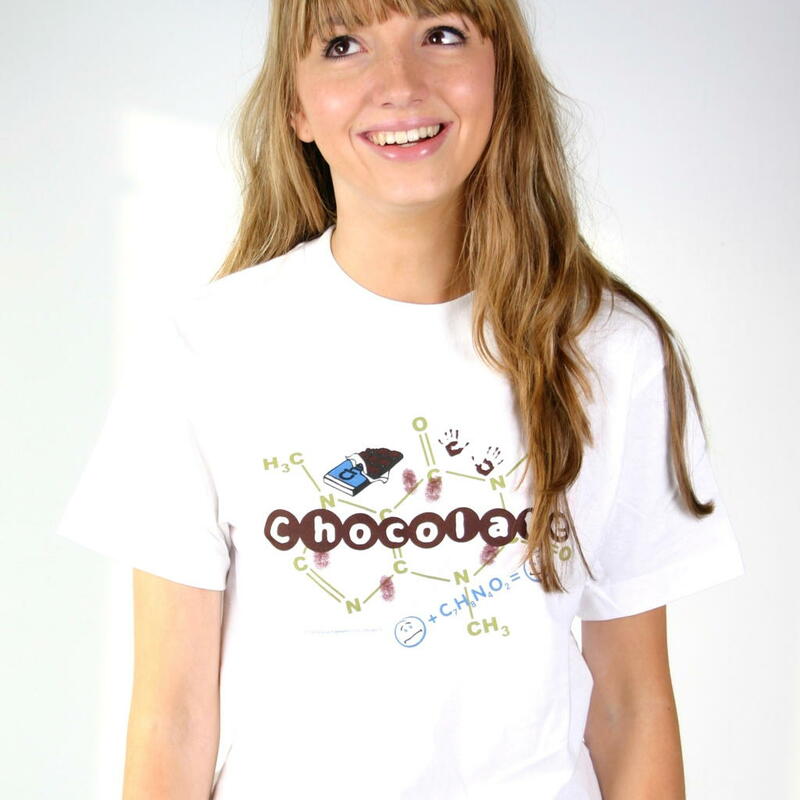 The printing is high quality and shiny. 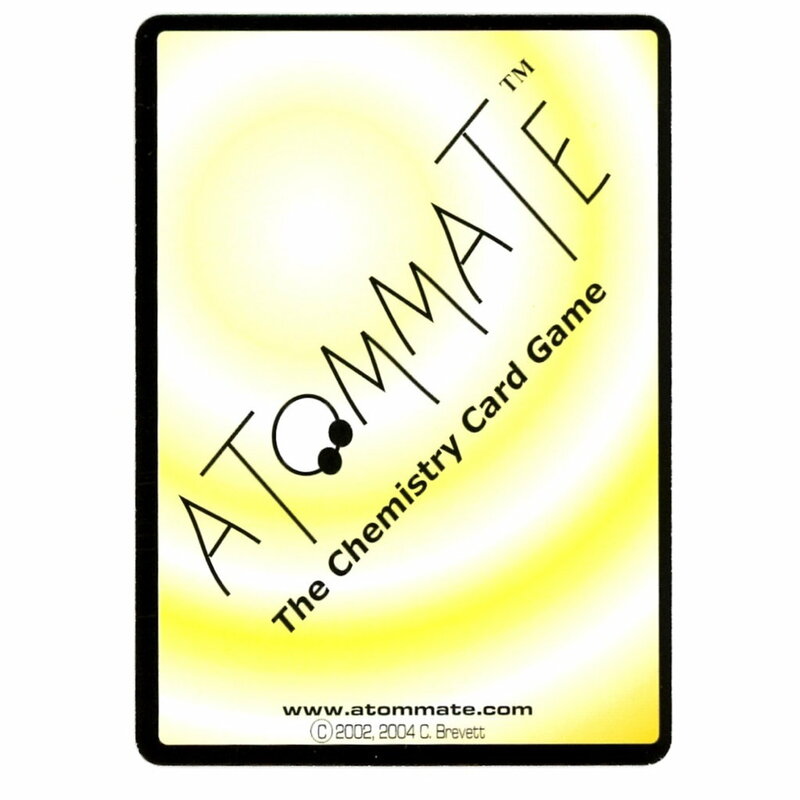 Each tile shows the atomic number, element symbol, and atomic weight. 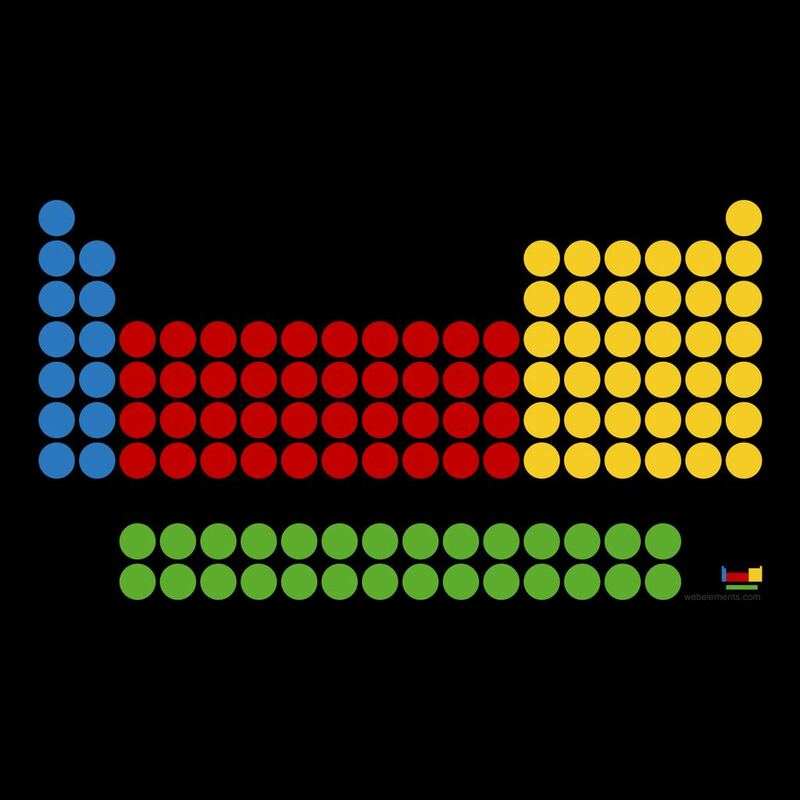 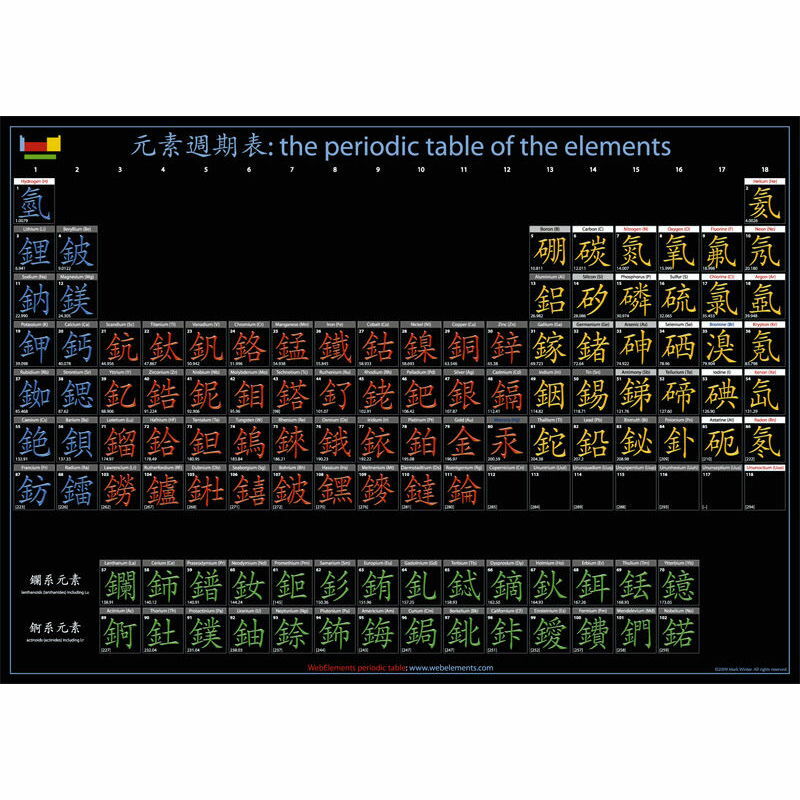 The latest elements Fl (114, flerovium) and Lv (116, livermorium) are included but good luck on making lots of words with Lv in them!